Former India captain MS Dhoni meeting his 87-year-old fan is bound to melt your heart. 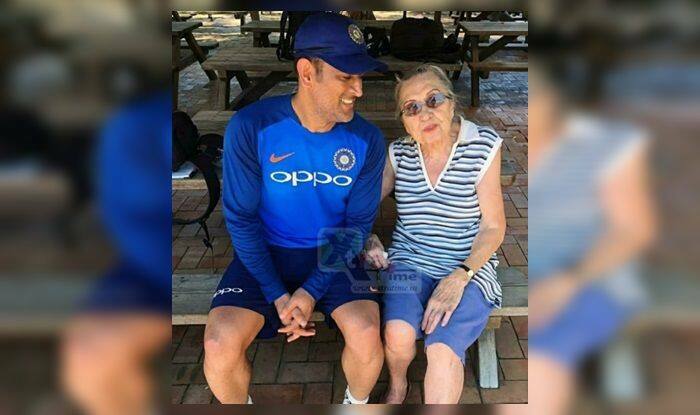 Former India captain MS Dhoni meeting his 87-year-old fan is bound to melt your heart. The meeting took place in Sydney after the practise session on Wednesday. Dhoni was seen happy and he chatted away with the old woman, who was extremely happy to meet him. This is not the first time Dhoni has won hearts for his gesture, but his humble self is extremely adorable to handle and his values of life. Dhoni seemed more than happy to continue as he smiled and smiled and smiled. He will be an important part of the ODI team as he will bring in a lot of experience to the table. Dhoni was not a part of the Test team as he has retired from red-ball cricket. Meanwhile, along with Dhoni, Team India’s star opener Shikhar Dhawan and middle-order batsman Ambati Rayudu were also caught in action fine-tuning their skills with batting coach Sanjay Bangar. With the 2019 ODI World Cup on the horizon, the focus has firmly shifted to white-ball cricket with the arrival of limited-overs’ specialists on Tuesday. India has a long white-ball season lined up ahead of the marquee tournament in England this summer, with three ODIs in Australia and another five ODIs in New Zealand along with a three-match T20I series there as well. Australia then visits India for a return leg of five ODIs and two T20Is, before the 2019 Indian Premier League season gets underway on March 23.